I grew up with a suburban backyard garden and a grandfather who missed his younger days on a south Jersey farm. He never thought we had enough tomatoes, and was saddened by our lack of pickles. We’d come home to tomato plants in my mother’s flower gardens and in the middle of the yard. We caught him once. An argument ensued. Tomatoes were replanted. He wasn’t a chatty fellow, so I feel like I connected with him via the plants in the garden. The only year we had a substantial pickle harvest was the summer he passed away. In my small garden plot, we grew beans, tomatoes, peppers, carrots and many different herbs. Now, years later, that garden has grown over, but my parents have moved all of their summer growing closer to the house in several large pots with which they have been very successful. I still don’t have my own piece of dirt, but I do have a rooftop. 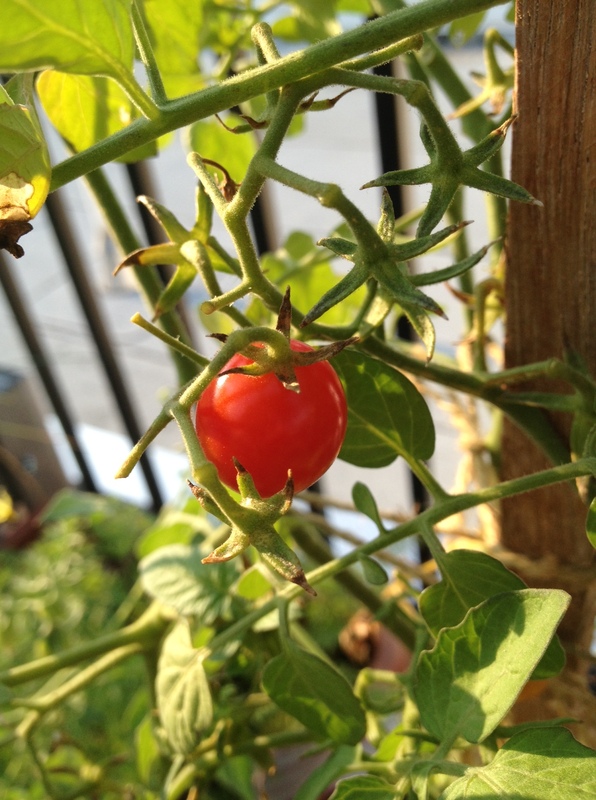 I’ve been chronicling here since 2013 but have been rooftop gardening since the spring of 2011. I’ve had to deal with water issues (as every gardener has), carpenter bees, intoxicated rooftop guests (did you just dump your drink into my carrots?) and extreme heat five stories up. I hope that what I’ve learned over the last few years, with some professional tips, will finally turn my experimental rooftop garden into a real food-making space.